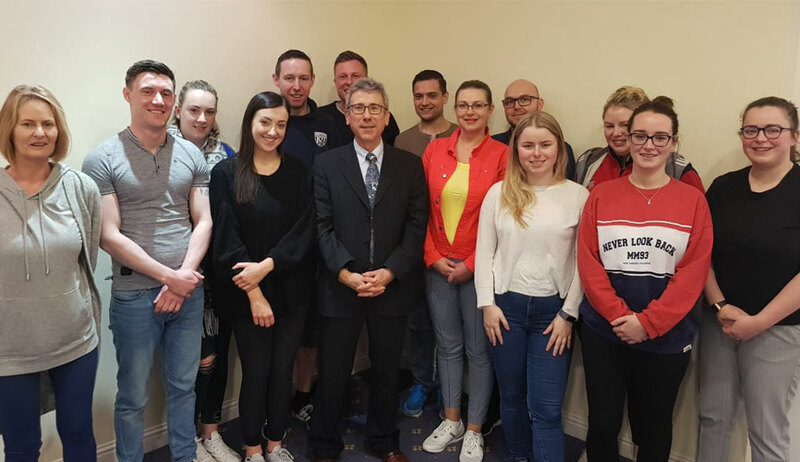 Hodson Bay Group’s senior staff came together in the Galway Bay Hotel for a Leadership Training Programme with expert consultant Jarlath Duffy. Jarlath instills confidence, awareness and ability in Leaders, Managers and Teams through training, facilitation and coaching. The team found the training very positive and supportive and plan to introduce the programme in each of their departments over the next few weeks. The team at Galway Bay Hotel enjoyed their Annual Staff Party at Sheraton Athlone Hotel recently. 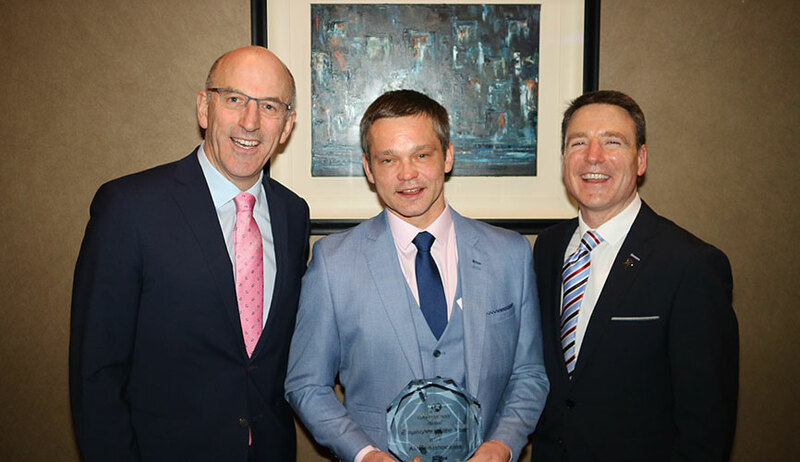 On the night CEO of the Hodson Bay Group Padraig Sugrue and Managing Director of Galway Bay Hotel Dan Murphy presented the Employee of the Year award to Kirils who has worked with the company for the past 6 years. He always goes above and beyond in all he does. He is very popular with both guests and his team members. Hodson Bay Group CEO Padraig Sugrue & General Manager of the Sheraton Athlone Hotel Garrett McGuinness presented the employee of the year 2018 award to Anne Marie. A member of the Reservations Team prior to the hotel opening in 2008, Anne Marie is a very popular member of the team. She has excellent customer care, her attention to detail is exceptional and has a lovely manner with the team and guests alike. The team at Hodson Bay Hotel recently enjoyed the annual staff party in Galway Bay Hotel. 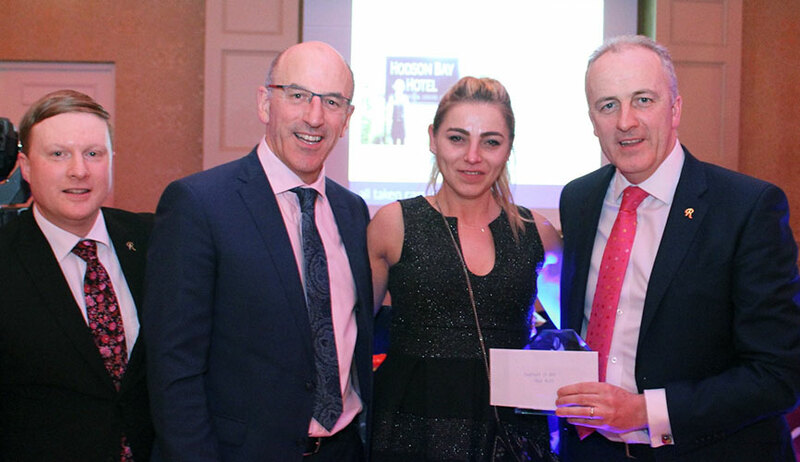 Hodson Bay Group CEO Padraig Sugrue and Hodson Bay Hotel Managing Director Tim Hayes presented the Employee of the Year 2018 award to Joanna. Working in our carvery dept. for almost 10 years, Joanna is an exceptional member of the team. She displays all our company core values on a daily basis through the course of her duties. 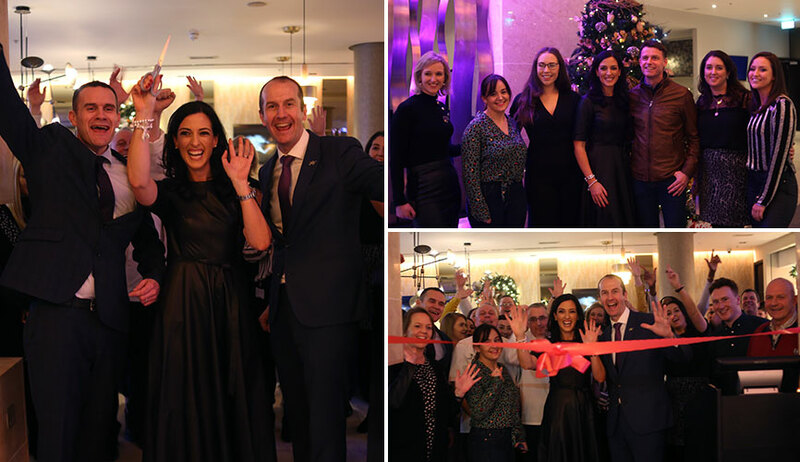 One of Ireland’s top influencers Lisa McGowan better known as Lisa’s Lust List cut the ribbon on the launch of the new ‘S Bar & Bistro‘ at Sheraton Athlone Hotel. Guests on the night were able to sample some of the fabulous cocktails and new bar food created by Group Executive Head Chef Gavin O’Rourke. O’Brien’s Wine and Black Donkey beer were also on offer on the night and Lisa created the “Lisa’s Lust Cocktail” now exclusively available at Sheraton Athlone Hotel. 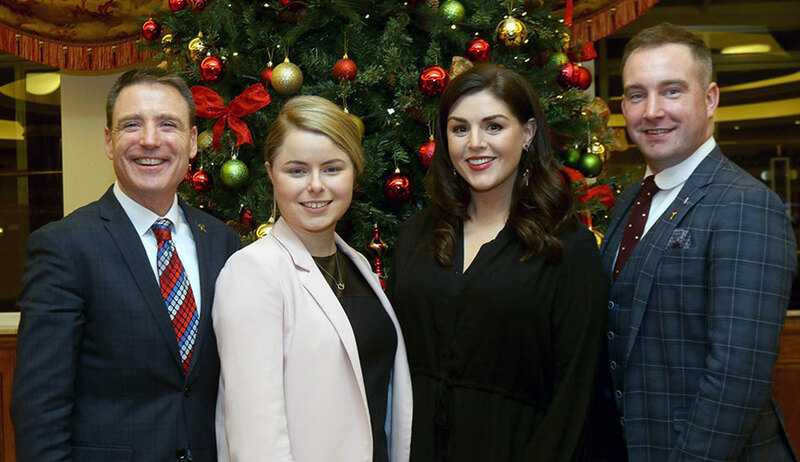 The team at Galway Bay Hotel were joined by Sile Seoige as well as locals and friends of the hotel to launch the brand-new Atlantic Bar and Seascape Lounge. Sile chatted to Dan Murphy, MD of the Galway Bay Hotel who has been with the hotel for the last 19 years. Some of the team shared stories from their years with the hotel and what it’s like working for Galway Bay Hotel. Guests were treated to cocktails and a selection of food from our specially designed menu while they listened to live music in the bar. 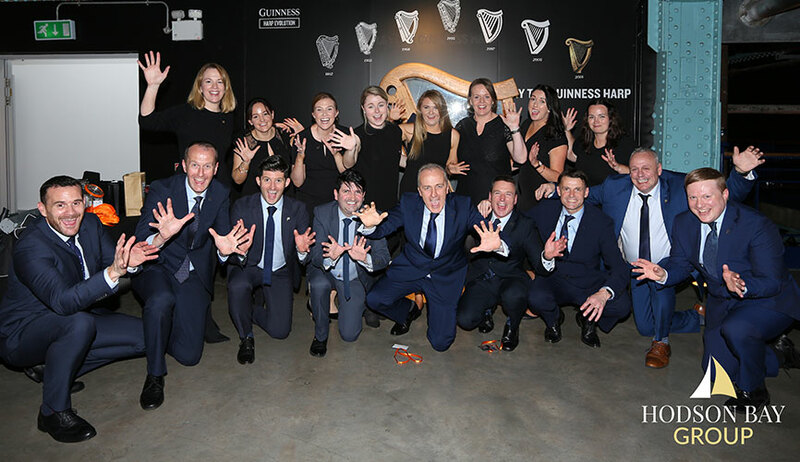 The Guinness Storehouse played host to a customer appreciation evening for the Hodson Bay Group of Hotels on Thursday 20th of September 2018. On the night Hodson Bay Group launched their brand-new hotel, The Hyatt Centric located in the heart of the Liberties, Dublin. The Hyatt Hotel Corporation today announced that it will open its first Irish Hotel in May 2019. The Hyatt Centric Dublin, a 234 room hotel located in the Liberties, Dublin is being Developed by The Hodson Bay Group, a Hospitality and Property Development company owned by the O’Sullivan family. The Hodson Bay Group will manage the property as part of a franchise agreement.